The GLOBAL & AMERICAN ACADEMY OF PROJECT MANAGEMENT ® is a worldwide Professional Management organization that is Sanctioned by the World Recognized AAPM Certification Board. AAPM has members in over 150 countries approving and endorsing qualified certification training worldwide and offering the AAPM ® exclusive board certification designations to candidates who meet the high standards. 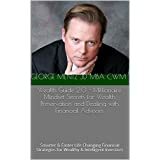 GAPM and its sister organization Global Academy of Finance and Management (GAFM – www.gafm.eu ) is internationally affiliated with various global regulatory organizations and SROs and the United Nations. Our certifications standards are from our global board and standards council with offices in the EU and the USA where keep the highest international standards for management engineering, human resources, risk, and project management. If you desire to be recognized by our worldwide academic & professional organization and improve your education, resume, or credentials, then, you are taking the best step to a better career and achieving graduate project management designations. This program is designed to take graduate Project Management competencies of the delegates to a higher level. We train and qualify for certification thousands of people worldwide. CIPM Program was created and trademarked in the United States and has become popular outside of the United States over the last 10 years. This designation along with the MPM has been featured in the New York Times for a decade. The AMC® program is the premier global consulting program for project managers and consultants. The AAPM ® was founded in 1996, via a consolidation between the CEC/PME Project Manager E-Business Committee (PME) and the Founders Advisory Committee of the Original Chartered Condor Falcon Graduate Institute of Leadership Development ™. Although our origins and founders go back to the original Charter Investment Corp. in the USA from 1951, the AAPM ® and IPMC is newer in its present formation due to the changes in governmental management. The AAPM was originally established in as a professional organization for graduate students, IT Managers, Government Employees, Military Officers, and Analysts. The Condor Falcon Management Institute was founded to examine strategic leadership and planning issues for graduates professionals and leaders and to award the leadership, project management and consulting awards and designations. The AAPM ® Graduate Board currently recognizes over 12,000 Executive Project Managers, PhDs, Masters Degree Holders, government officials, and consultants as executive members in over 141 nations. As there had not been a graduate professional project manager organization specifically for Executives, MBAs, PhDs and accredited degree holders, The AAPM ™ has met this need and become the organization of choice for highly educated individuals or industry experts because AAPM requires an accredited college degree or graduate equivalent for membership and certification. The AAPM receives its license, sanction and authority from the Charter and Bylaws of The IPMC International Project Management Commission. The AAPM ® has seen a meteoric rise to affluence and membership in recent years, as executives and managers strive to maintain and augment their education, unique credentials, integrity, and skill sets. AAPM affords strategic recognition of over 40 of the top business programs globally including schools that are AACSB International ™ Accredited Schools and The ACBSP ™ accredited business schools. Thus, AAPM accredits and recognizes only the best project management “college level or higher” educational and training programs. AAPM also has an alliance with the RSOF Royal Society of Fellows Worldwide, The 美国项目管理标准认证委员会 Asia Commission, The IPMC International Project Management Commission and the AAFM ™ The American Academy of Financial Management. Further, the AAPM ® has been listed and disclosed as a training and certification provider with the US Department of Education Resource Directory. Further, the AAPM is the first organization in the world to offer a certification training program from an ABA Accredited Law School Recognized degree program. Specialized Training or Education from an AAPM ® IPMC approved and sanctioned program. 1. Continue to be a leader in Certification Standards and as an Accreditation Commission promoting the best Accredited and Government Rcognized Management Degrees. 2. Promote and protect the integrity of the AAPM® Membership, Certifications, and Designations both nationally and globally. 3. Provide a structure for interaction between members and the professional financial community, business executives, government Project Management officials, and Organizational Management and Project Managmeent related academic professionals. 4. Enhance employment opportunities for AAPM ®Members at all levels via networking, training, and outreach. 5.To continue to grow internationally with specialized on-site executive training available at AAPM Approved training programs.